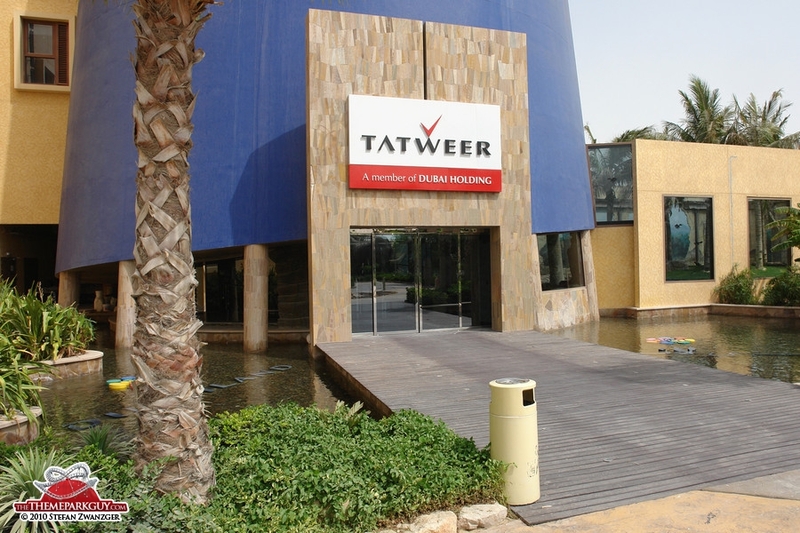 Dubailand was the trademark project of Tatweer, a subsidiary of state-owned Dubai Holding that recently merged into Dubai Properties, a developer of residental and commercial high-rises in Dubai. 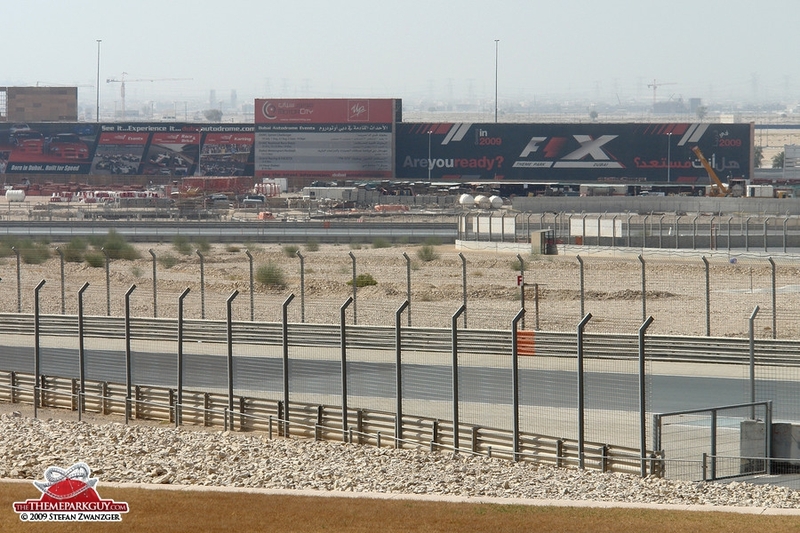 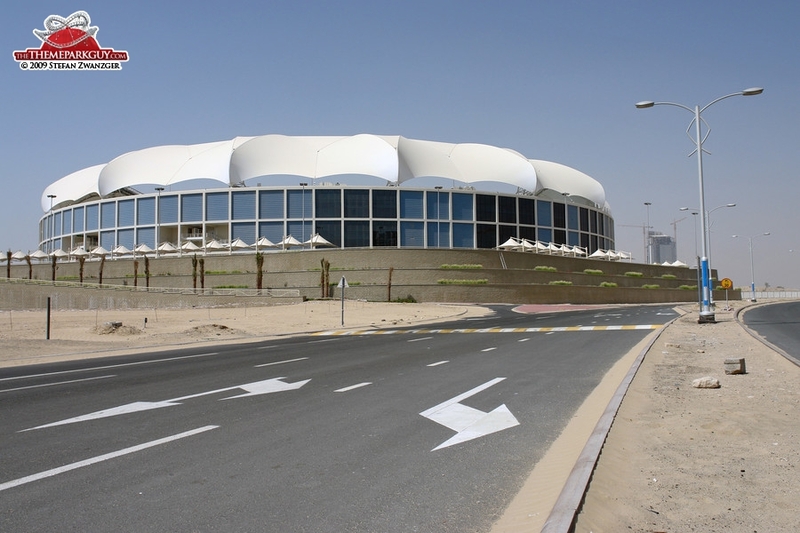 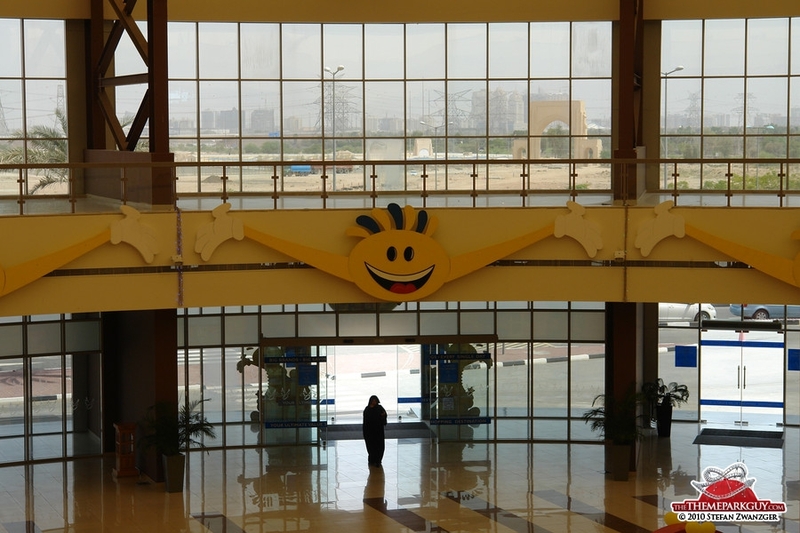 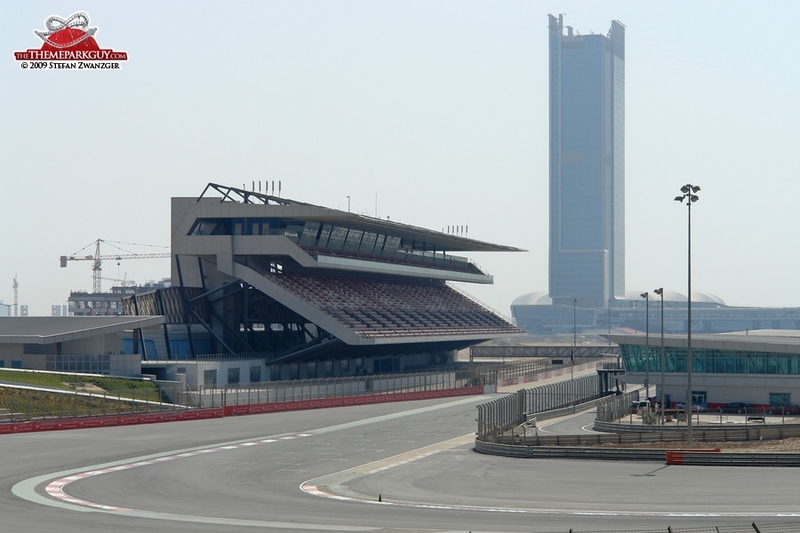 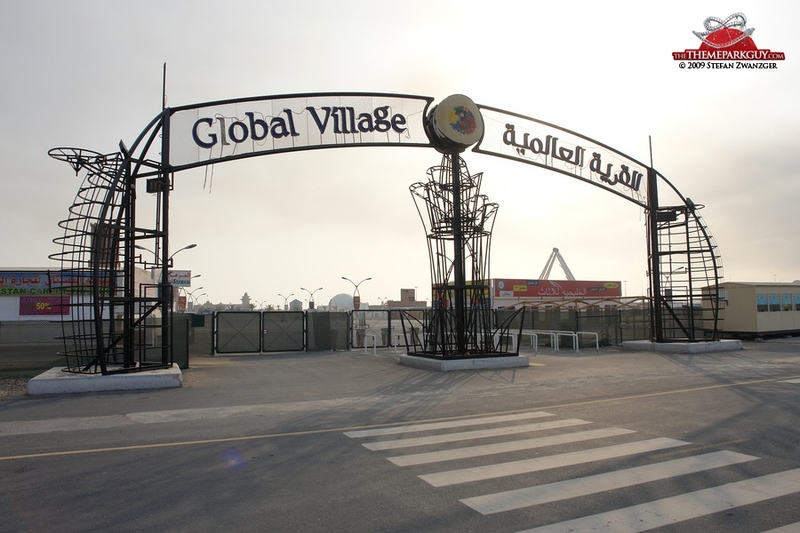 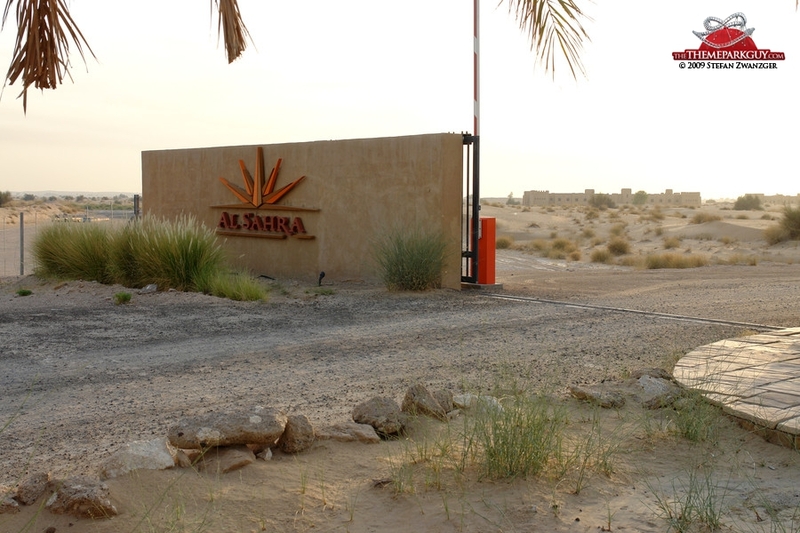 Current brochures state that Dubailand Phase 1 is 'fully operational': Dubai Autodrome (a race track that opened in 2004), Dubai Sports City (a cricket stadium, golf courses and villas), Dubai Outlet City (a mall), Global Village (a seasonal fun fair operating since 1996) and Al Sahra Desert Resort (a show venue in the desert). 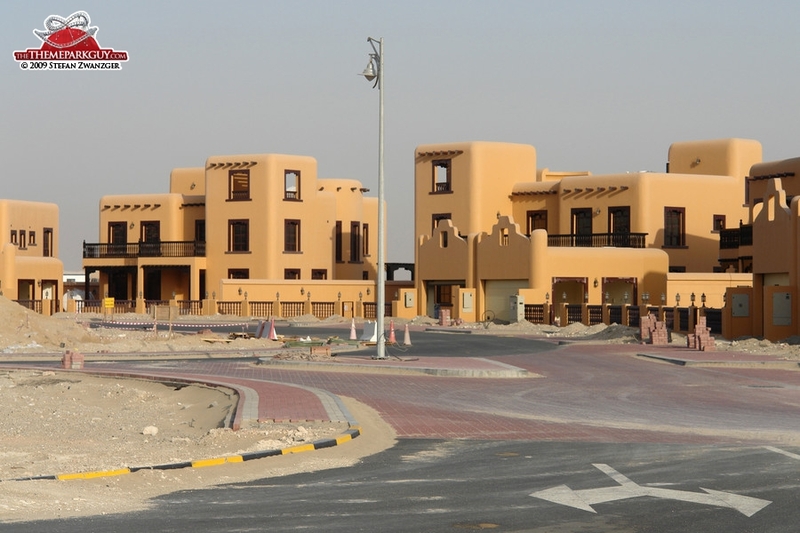 Well, if Dubailand is about residential property and recreation, it can claim some progress. 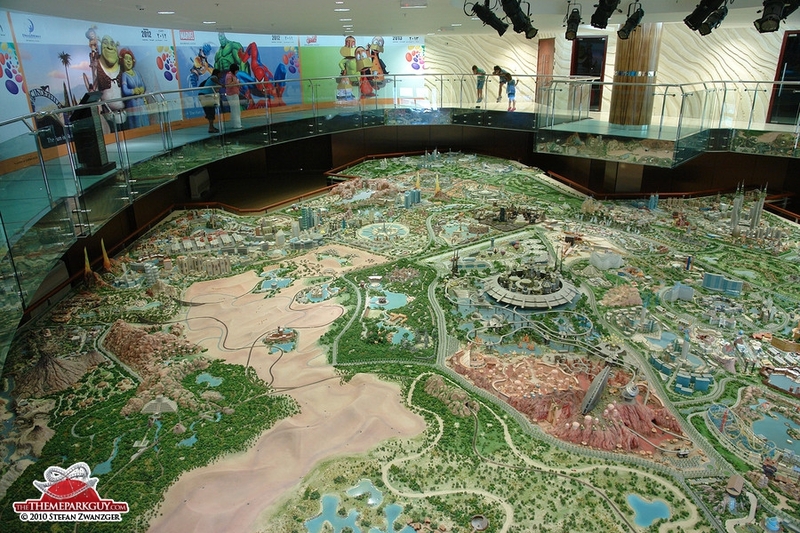 But if it's about gargantuan world-class theme parks, as the name suggests, it's a cursed story. 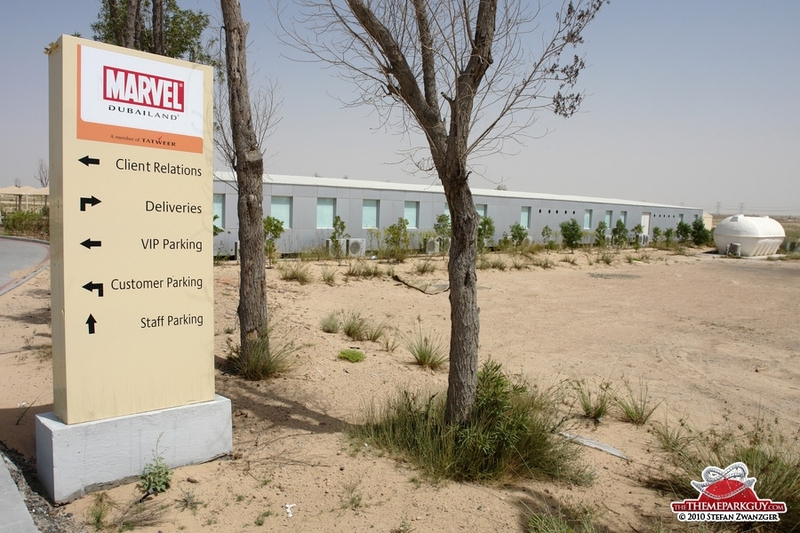 The biggest series of back-to-back theme park announcements in history involving brands like Universal Studios, Dreamworks Animation, Marvel, Six Flags, Lego and Paramount results in not even a single one materializing? 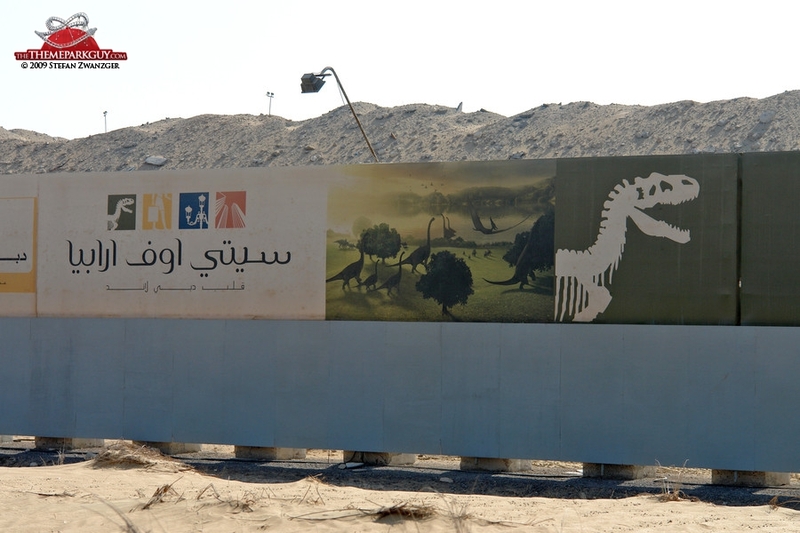 What a chimerical tale! 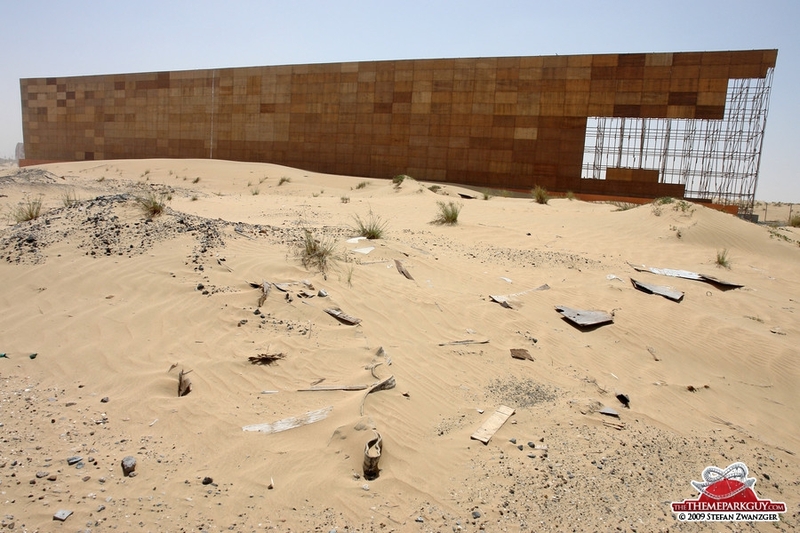 Yet, the final chapter may not have been written. 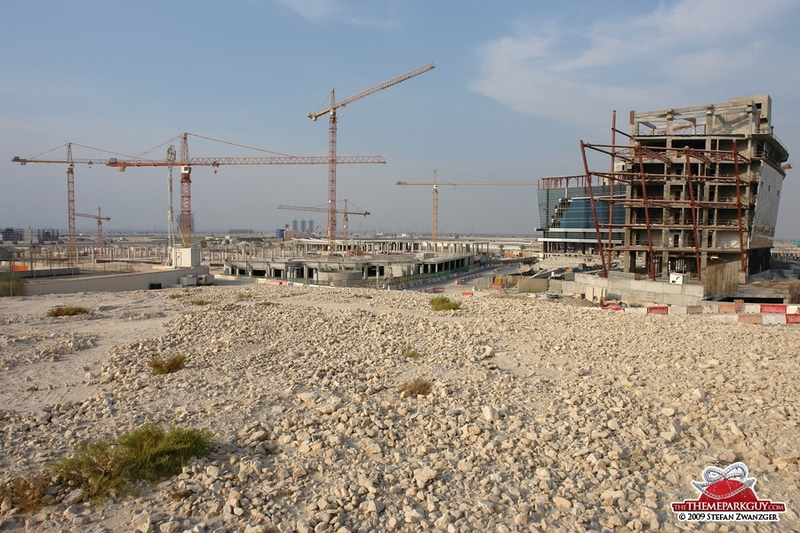 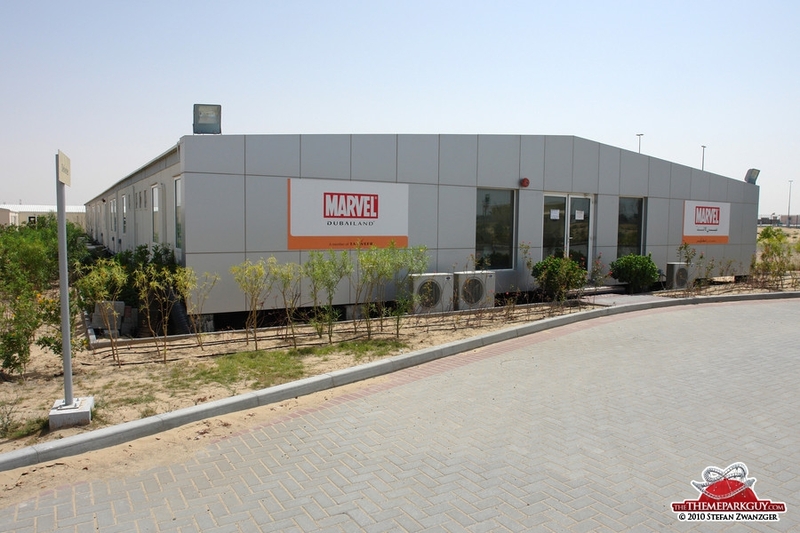 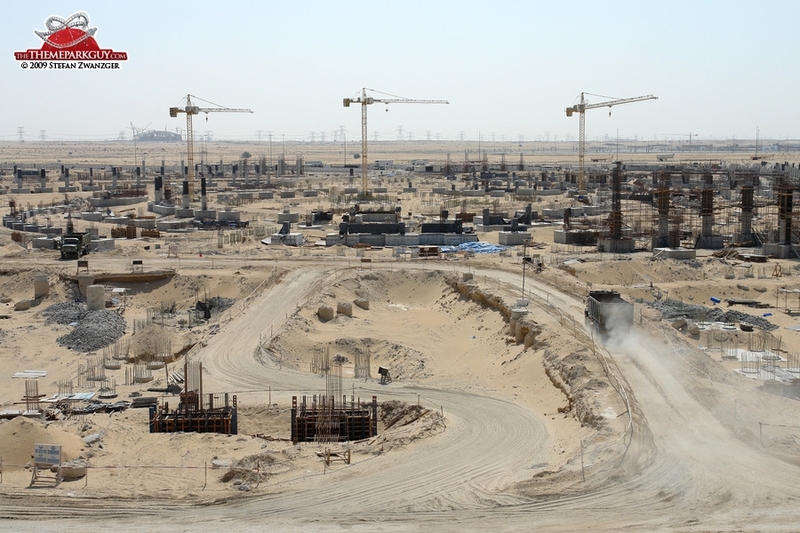 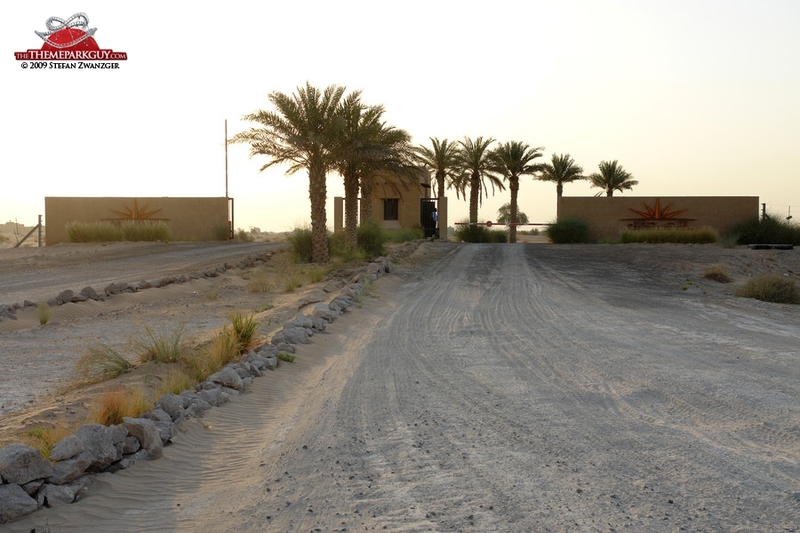 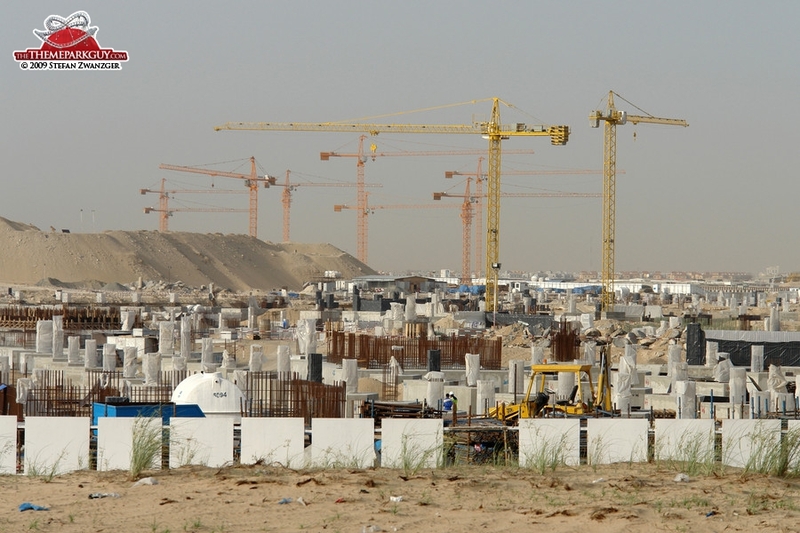 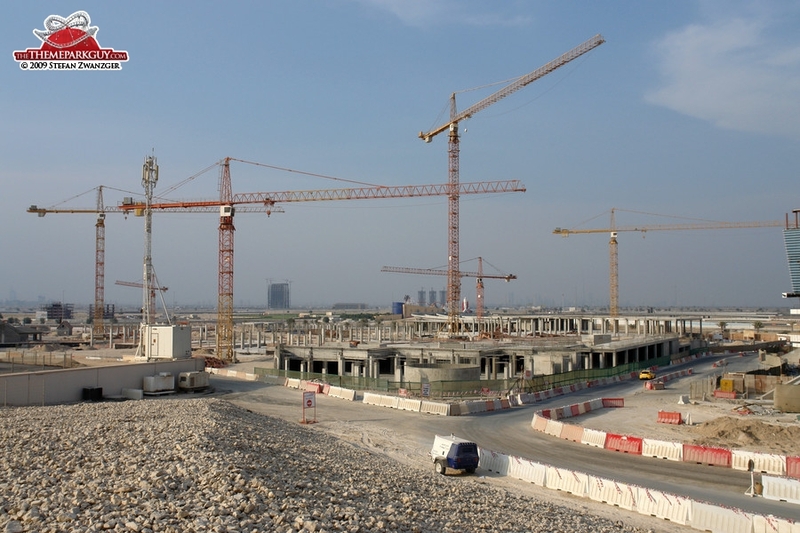 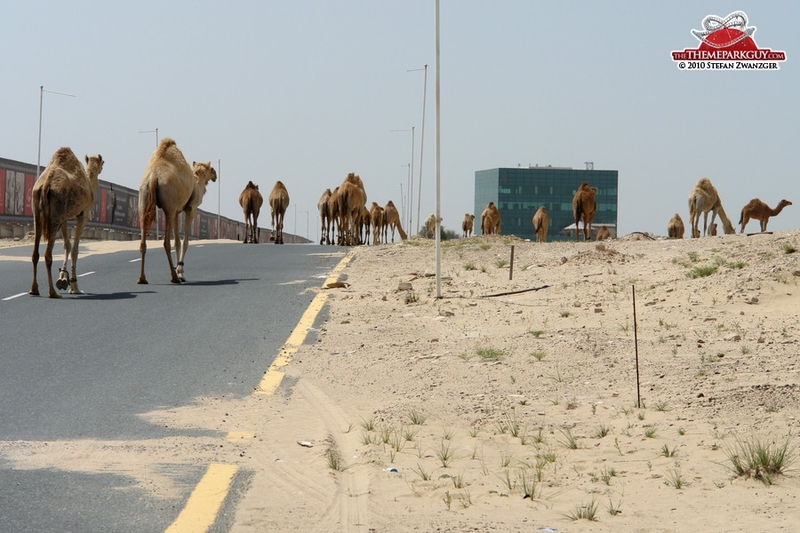 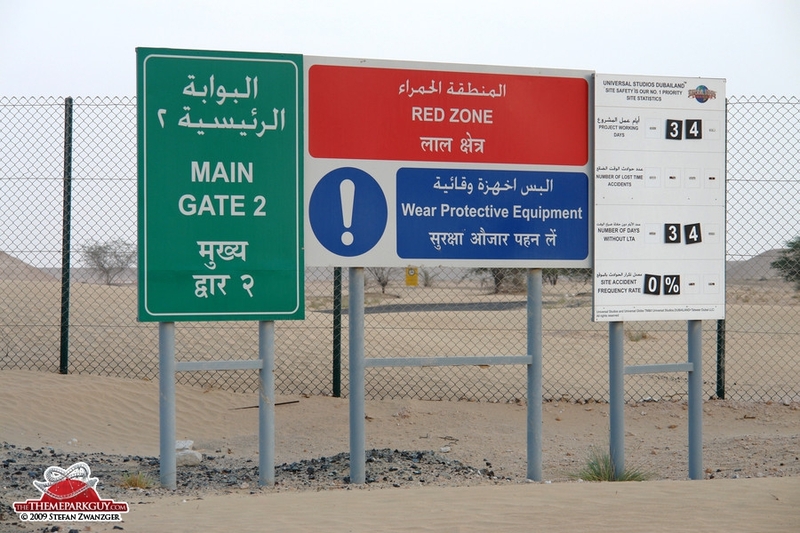 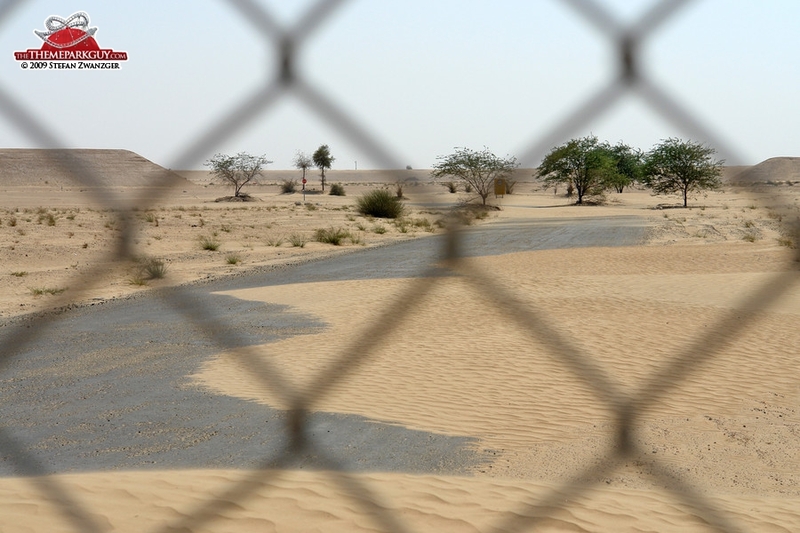 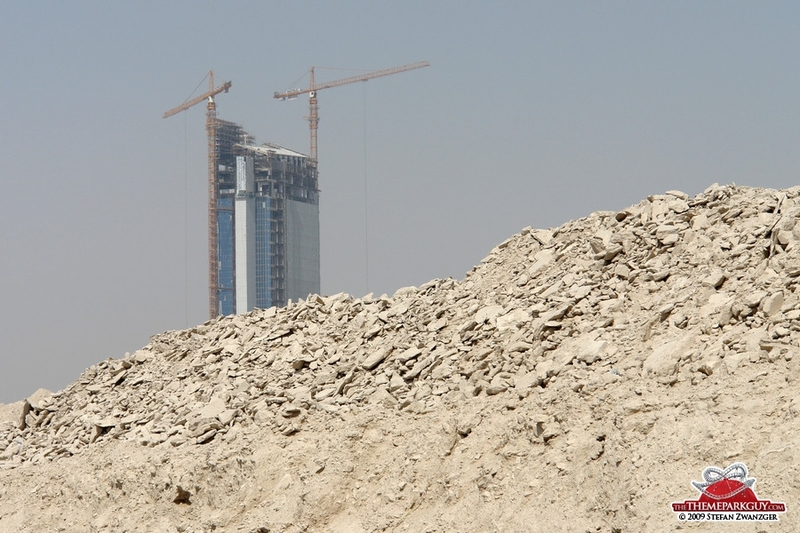 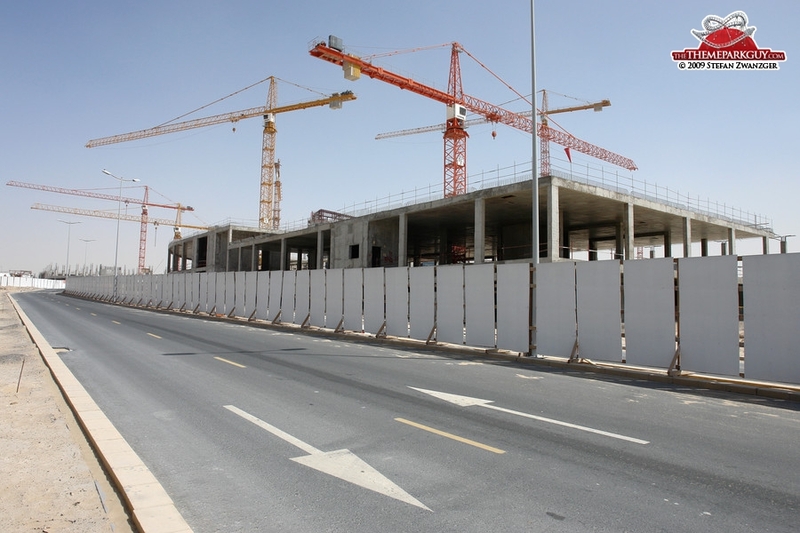 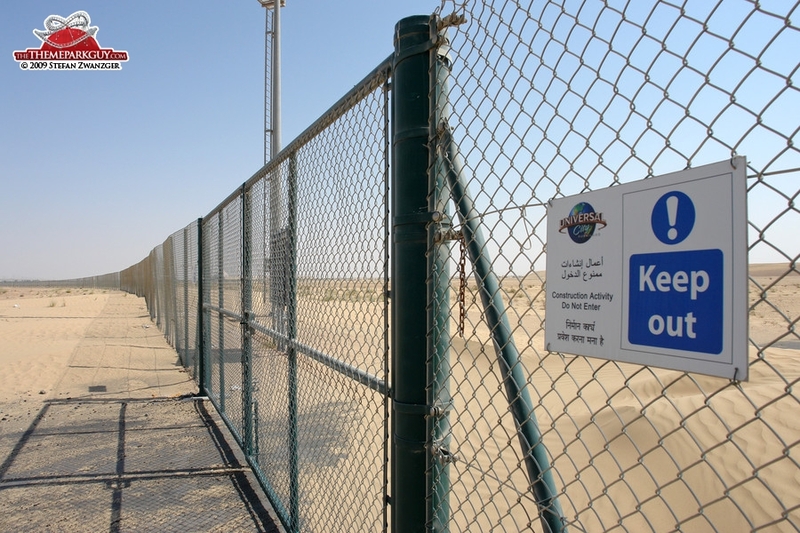 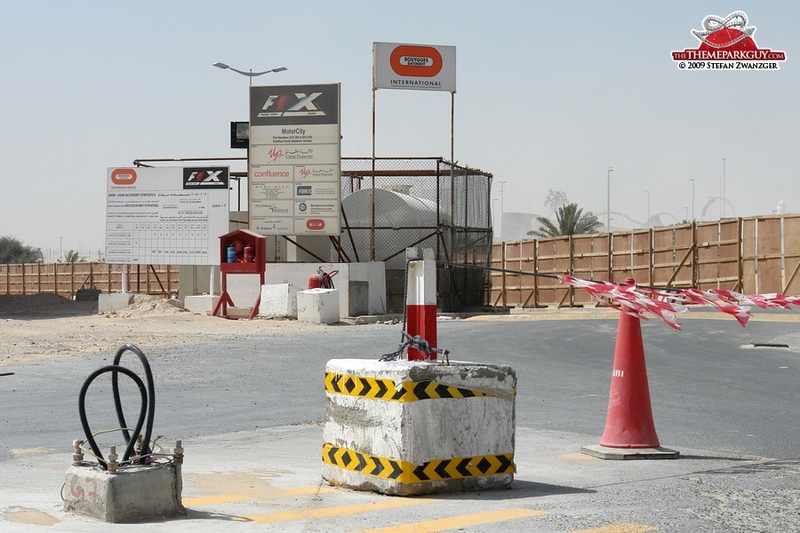 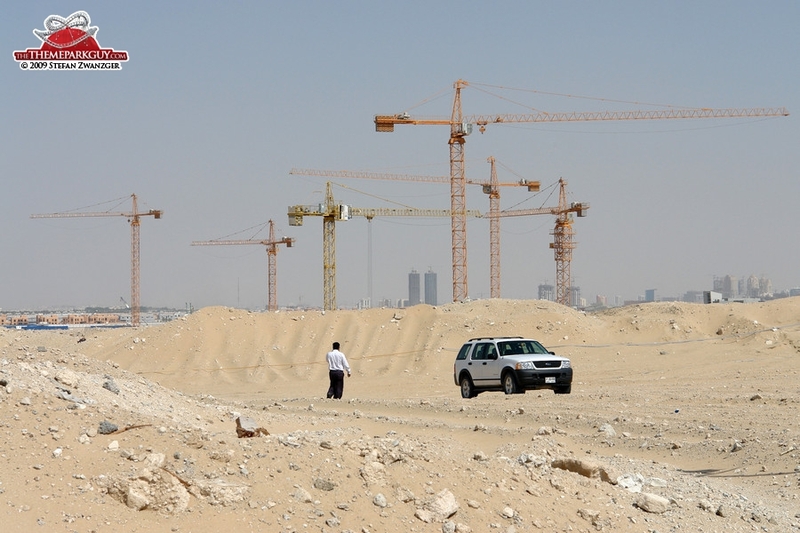 No theme park construction whatsoever took place in Dubailand's desert territory last year. 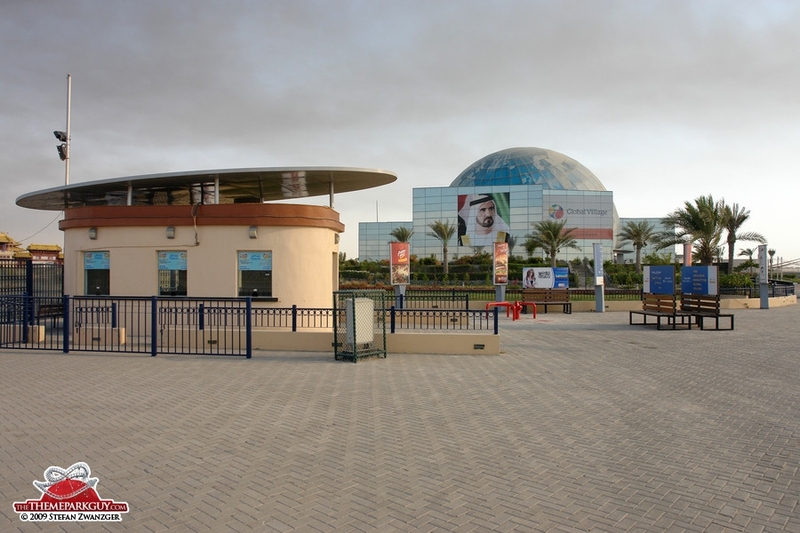 During the same period, the massive Ferrari World indoor theme park has been rising subtly from the sand in neighboring Abu Dhabi. 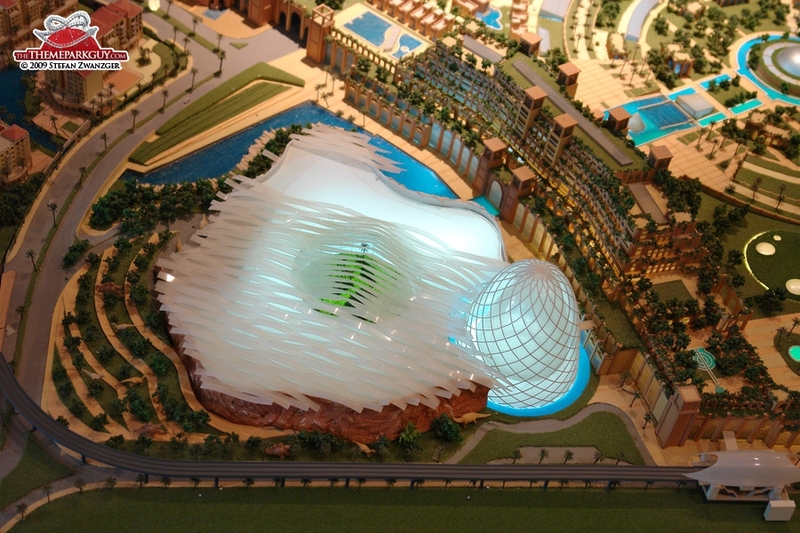 Due to open later this year, its massive structure looks a bit like a piece of the insane Dubailand sales center model still exhibited to the public today. 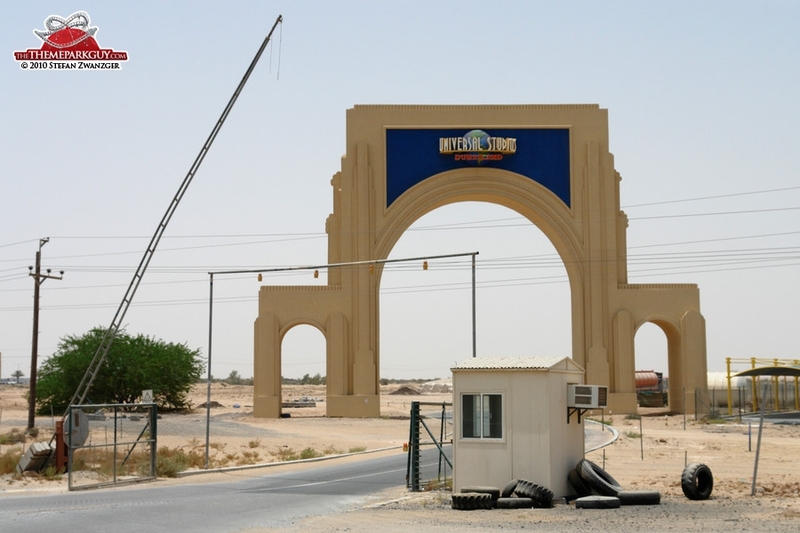 It's going to be the first world-class, monster-budget theme park in the Middle East and I believe its success or failure will co-determine the fate of the title holder of this review. 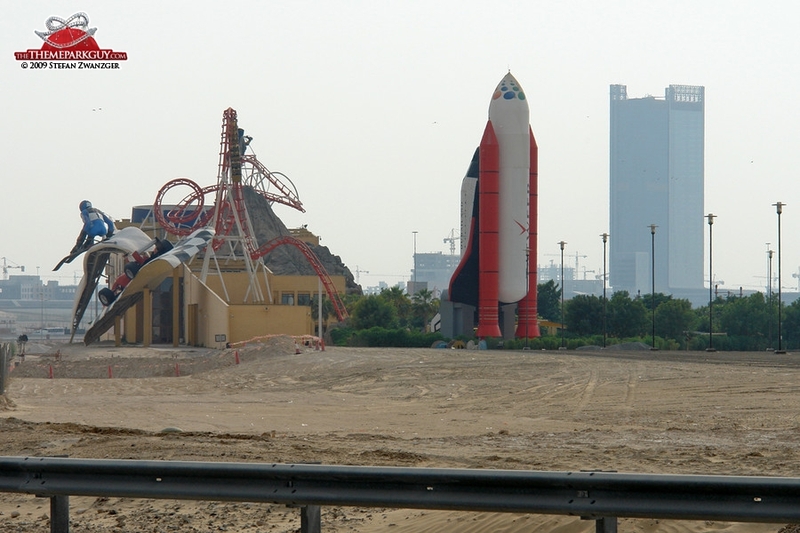 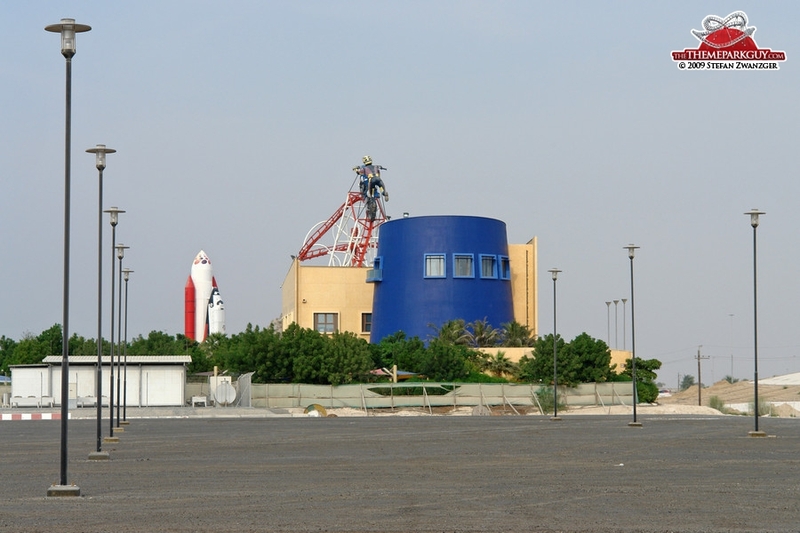 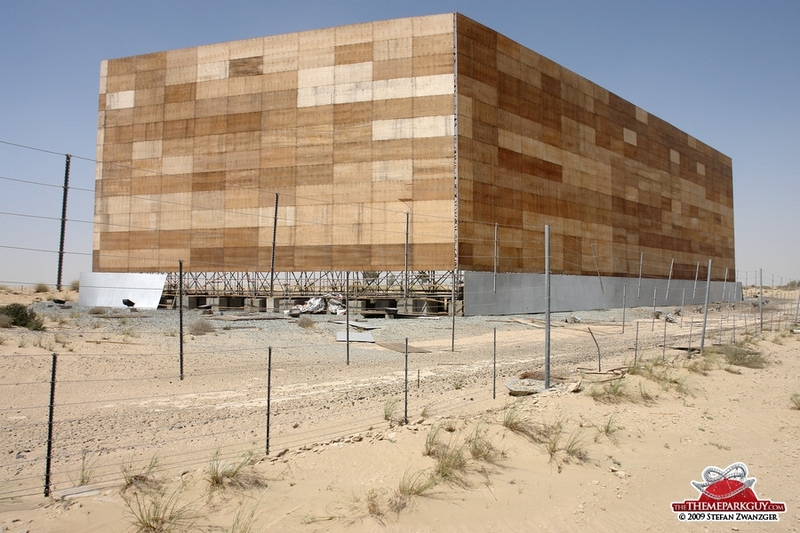 As far as I can see only one theme park, 'Restless Planet' in the 'City of Arabia', is going ahead in Dubailand. 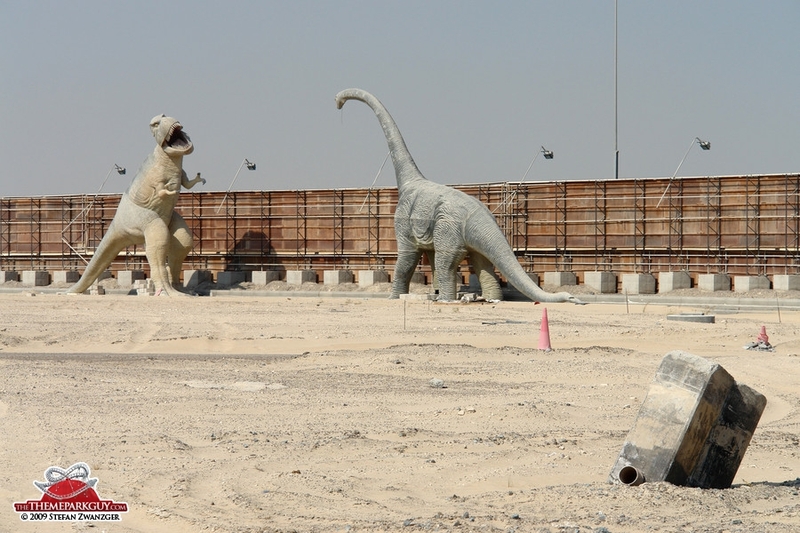 I saw the construction workers and I saw them working on the site of the future dinosaur theme park. 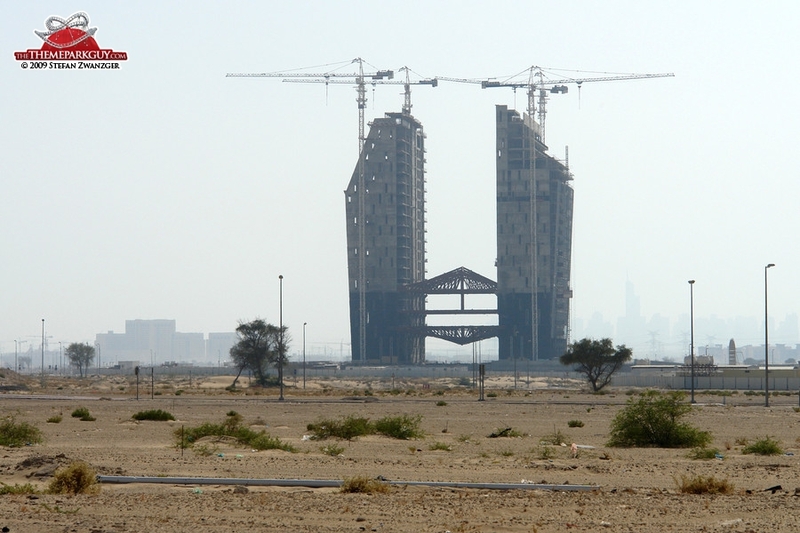 So I guess – and hope – that this one is still going to happen. 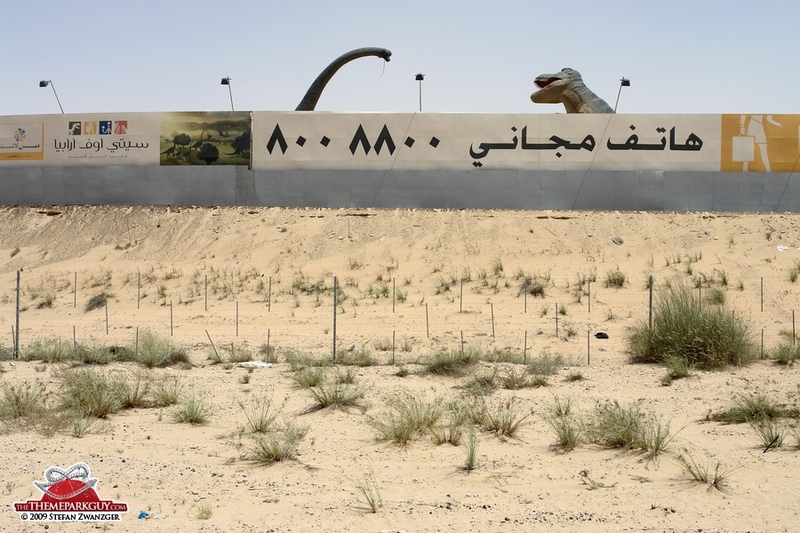 After all, the animatronic dinosaurs – stored in Japan for a couple of years already – aren't getting any younger and are waiting for their Middle Eastern home! 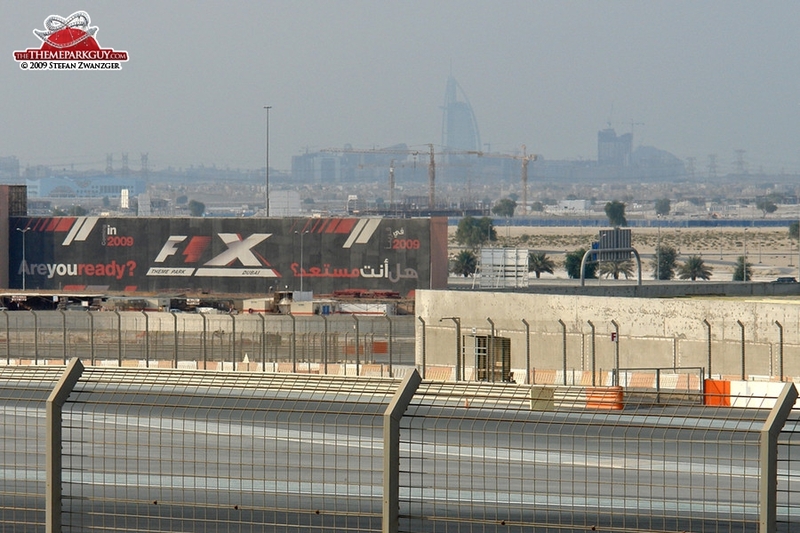 We might not see it before 2012, though. 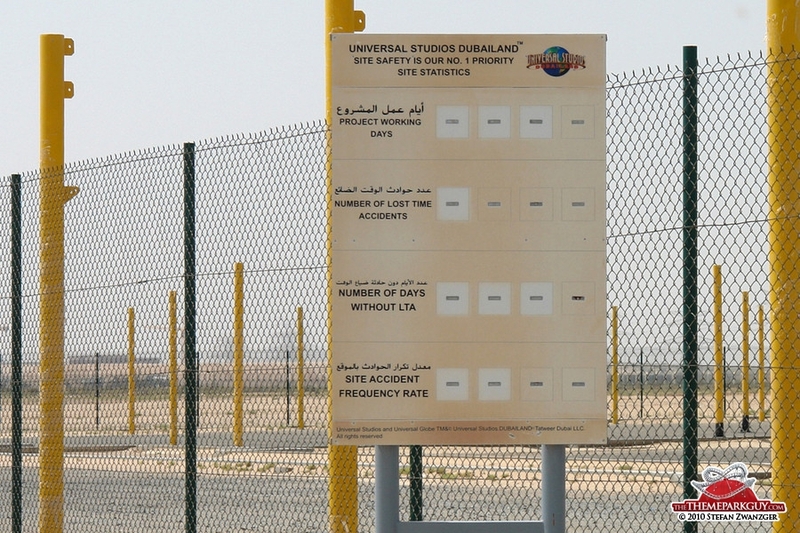 The only addition to Universal Studios Dubailand since my last visit is the sand left behind from the scorching wind that washes over the desert site. 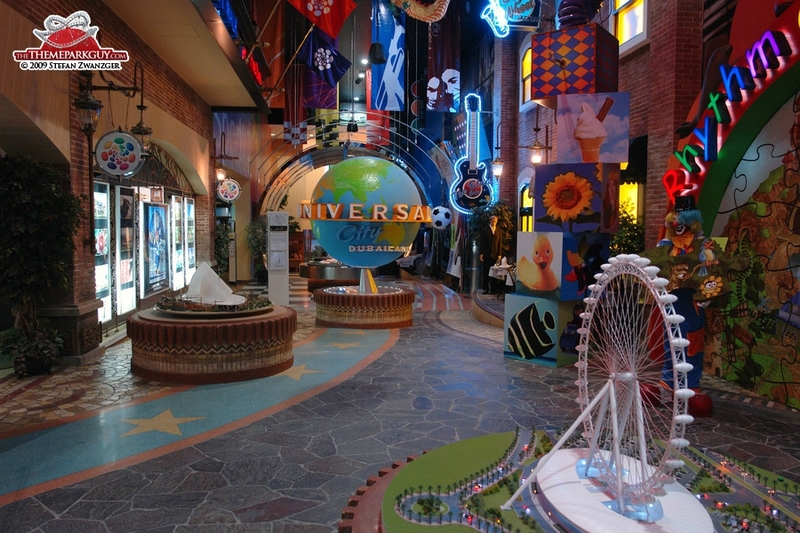 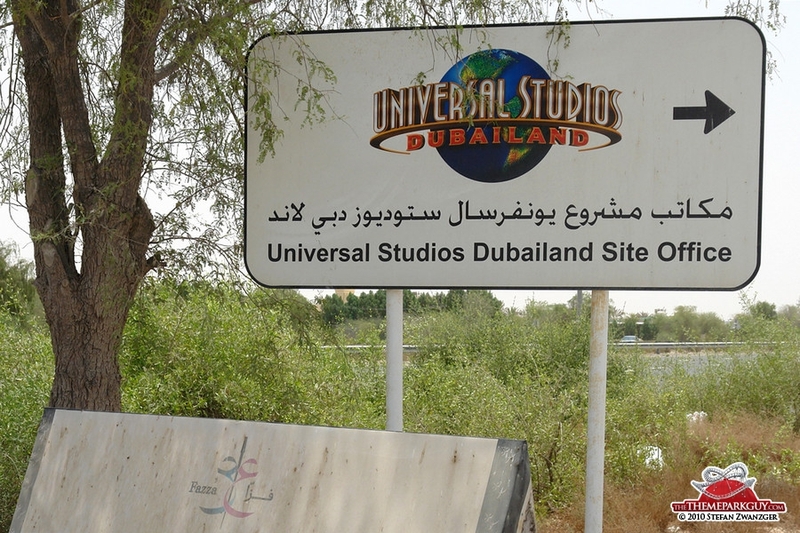 However, some say the plan is to abandon the old site (this has already happened) and build the Universal theme park at a new location, closer to the city and the Dubailand sales center. 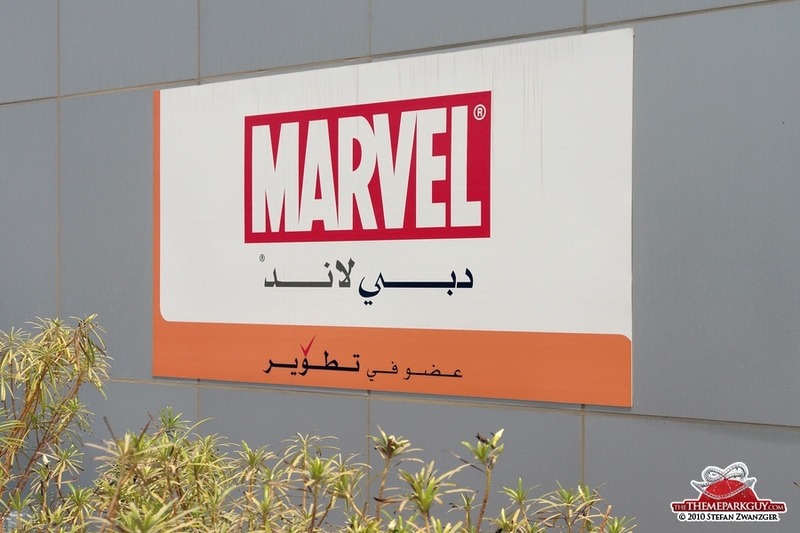 I couldn't find anything to confirm this, so it's just a rumor for now. 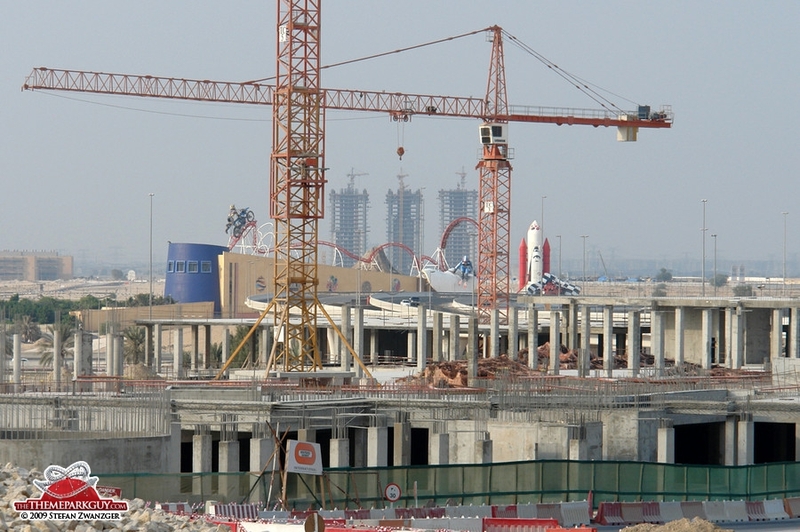 The cranes of F1-X theme park haven't moved since my last visit in May; it is still on hold. 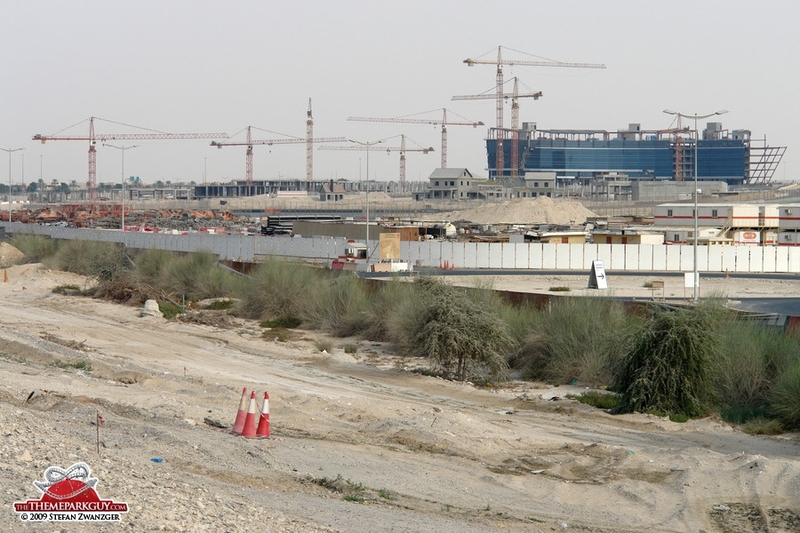 Given that there is a Formula 1-themed park called Ferrari World in the advanced stages of construction in close-by Abu Dhabi, this might actually be not a bad idea. 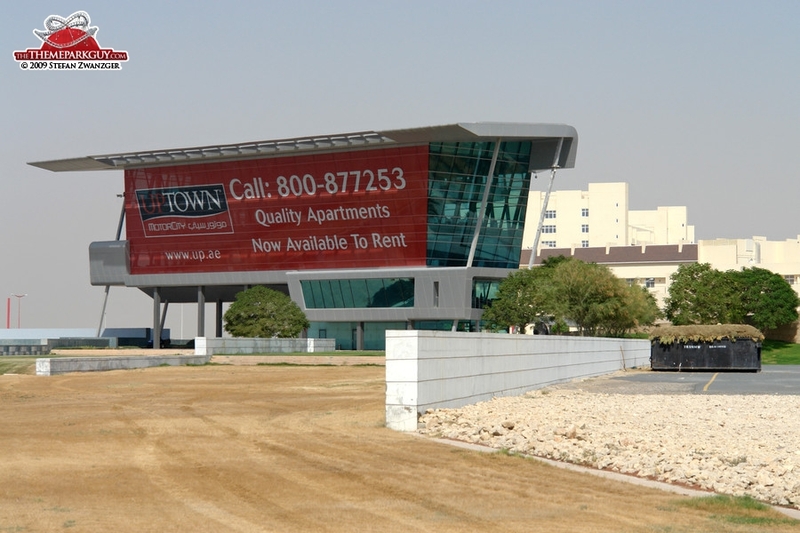 New residential buildings are sprouting up here and there and the sales center is still selling the old dream with the old deadlines that can't be met anymore. 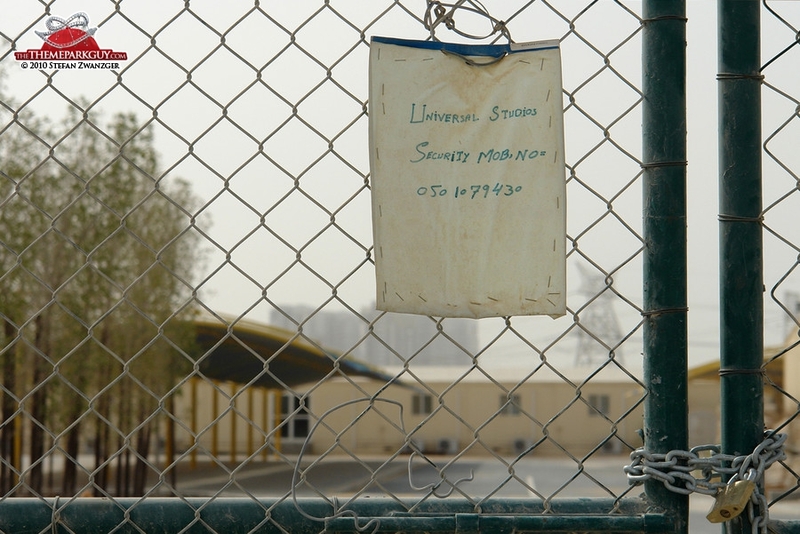 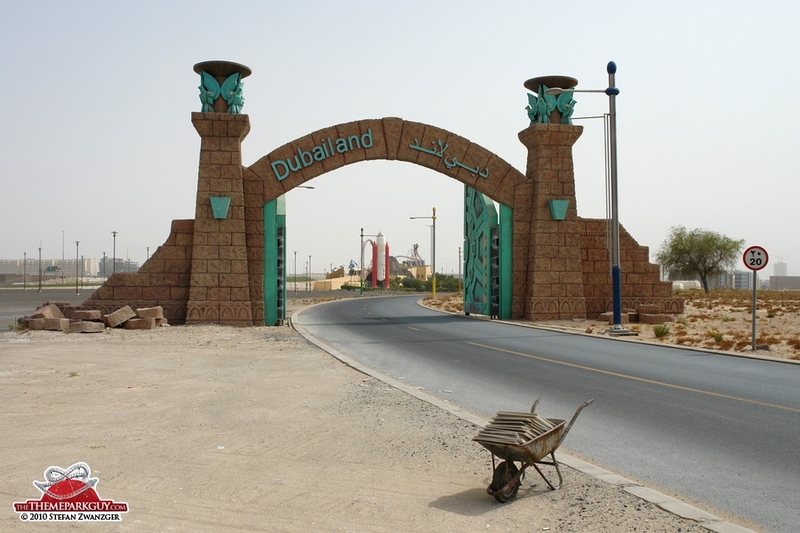 What happened to Dubailand? 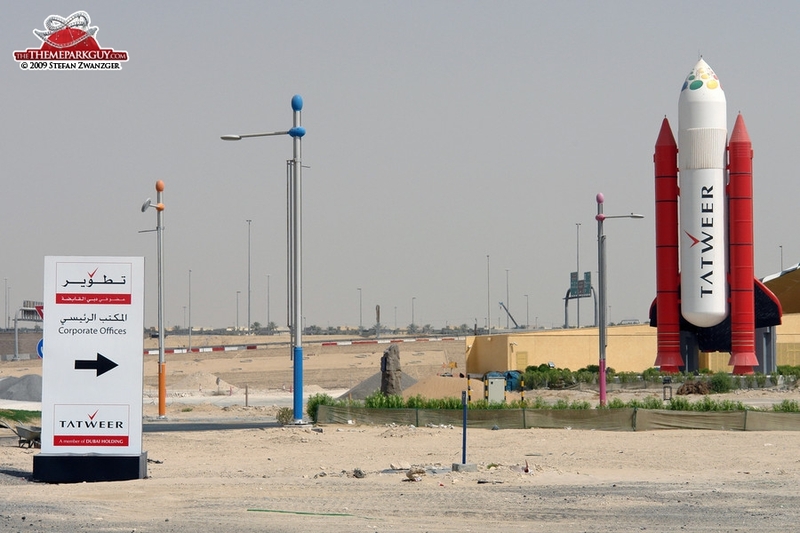 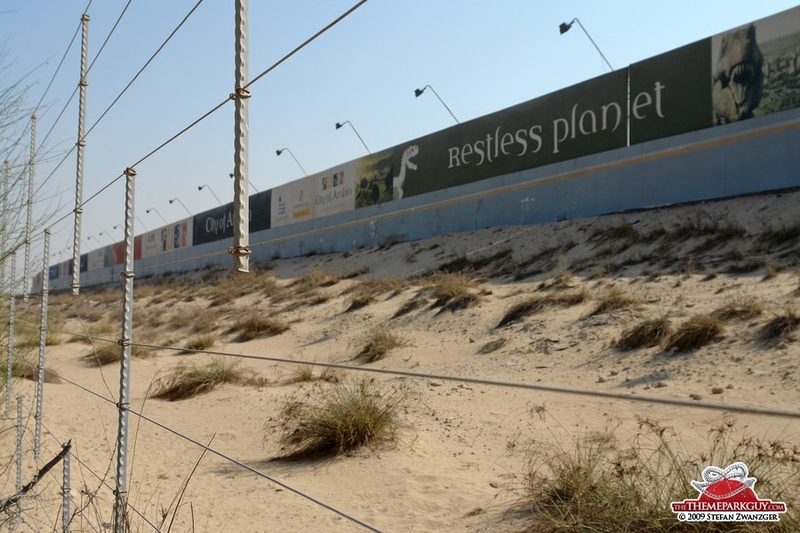 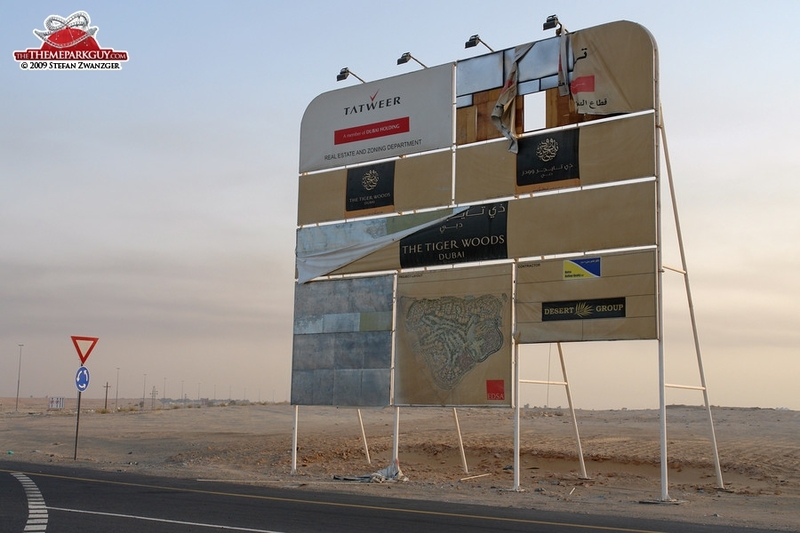 Unfortunately, the only news I can deliver from here is that the majority of the Dubailand billboards (which were everywhere on my last visit) have been removed and no visible construction of theme parks is underway. 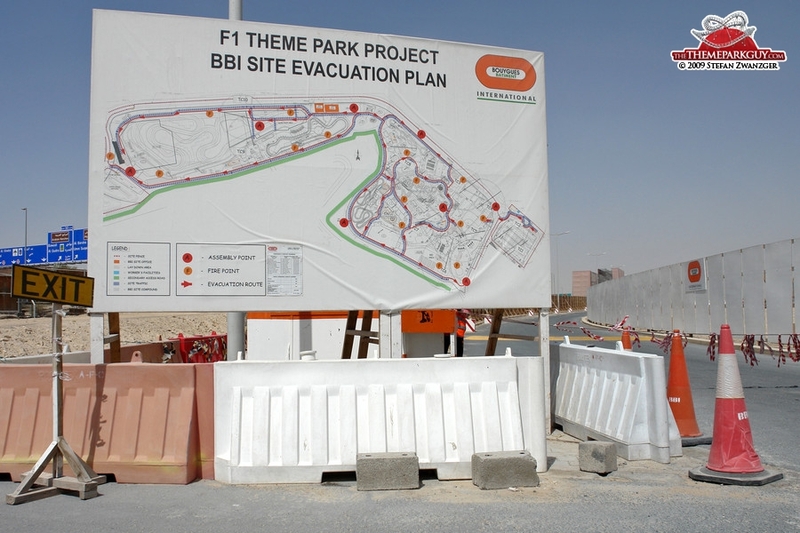 The most likely survivors of Dubai’s very own crisis were Universal Studios Dubailand and the F1-X theme park. 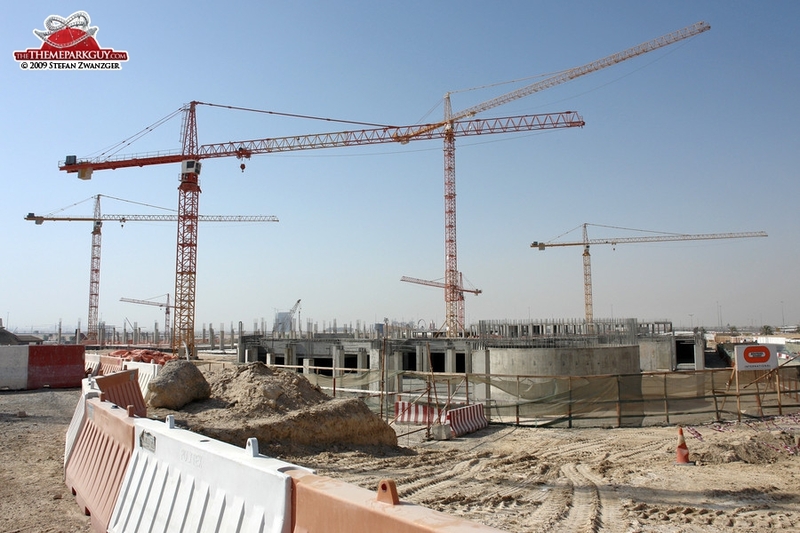 While construction of the former is currently not progressing, the latter was entirely put on hold by developer Union Properties due to lack of funding. 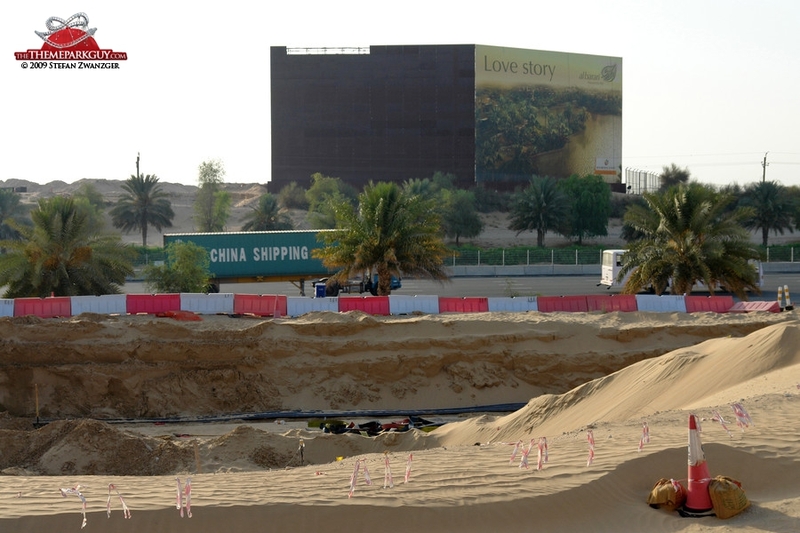 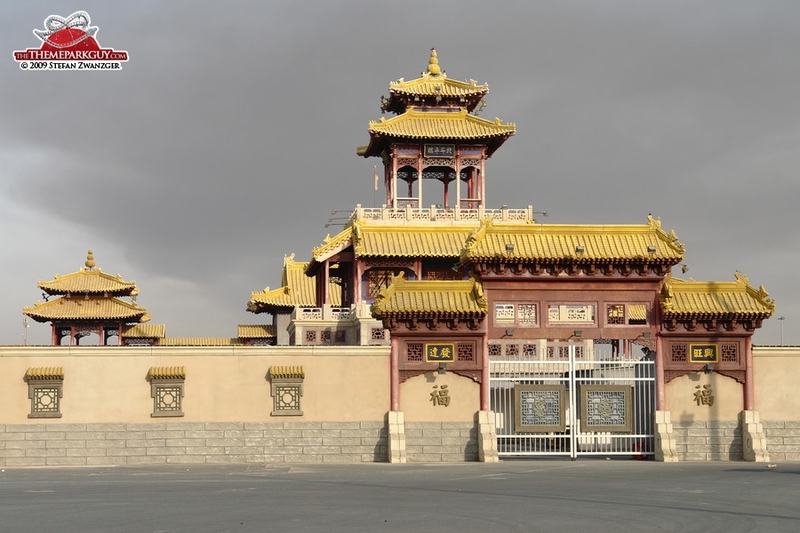 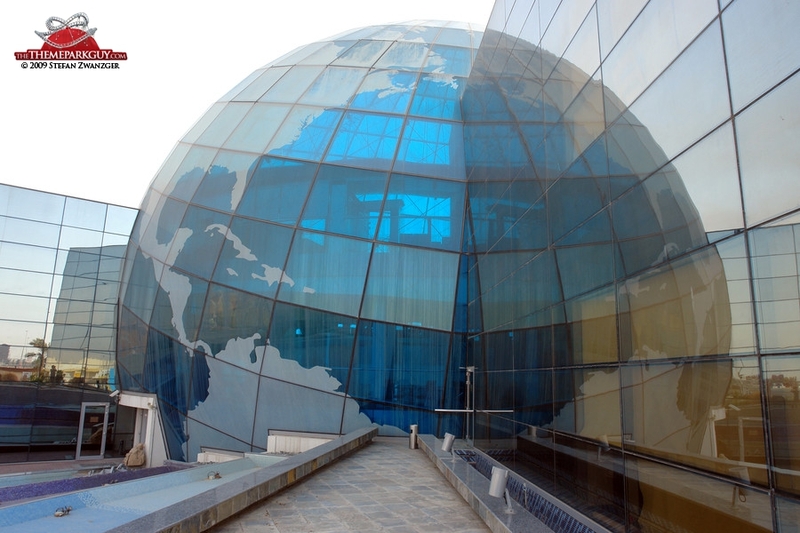 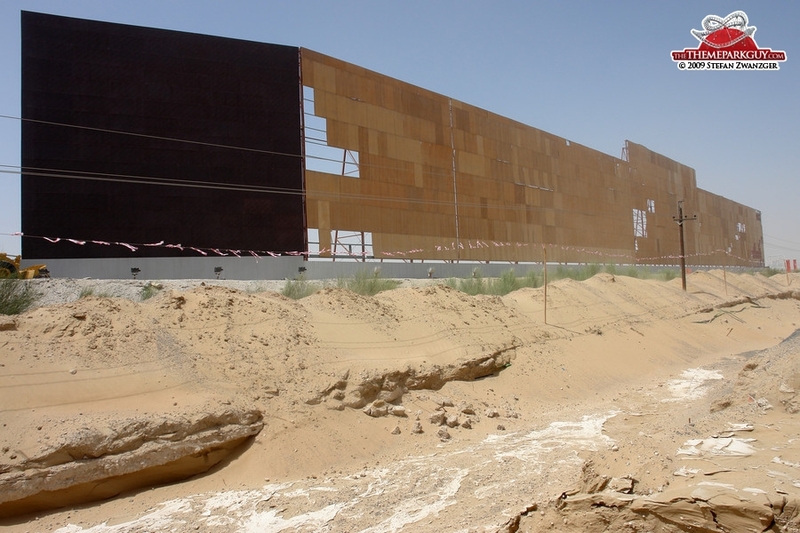 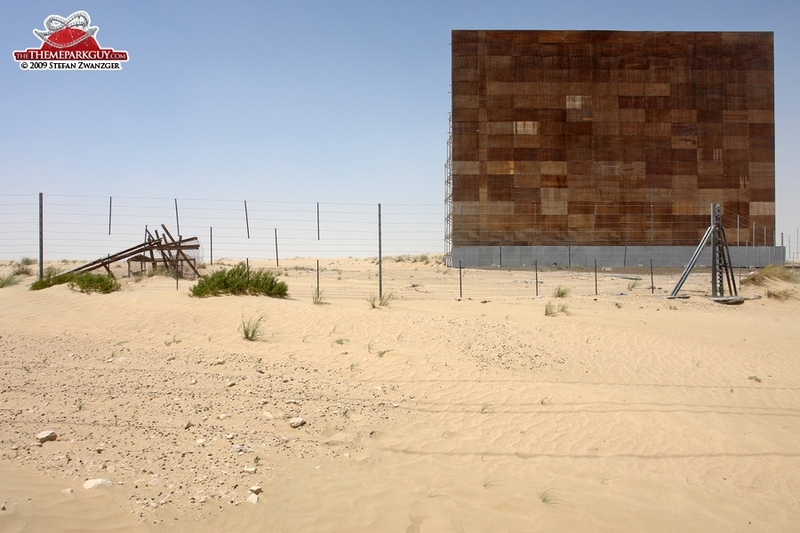 As for Aqua Dunya, Restless Planet and Legends of Arabia – no signs of construction. 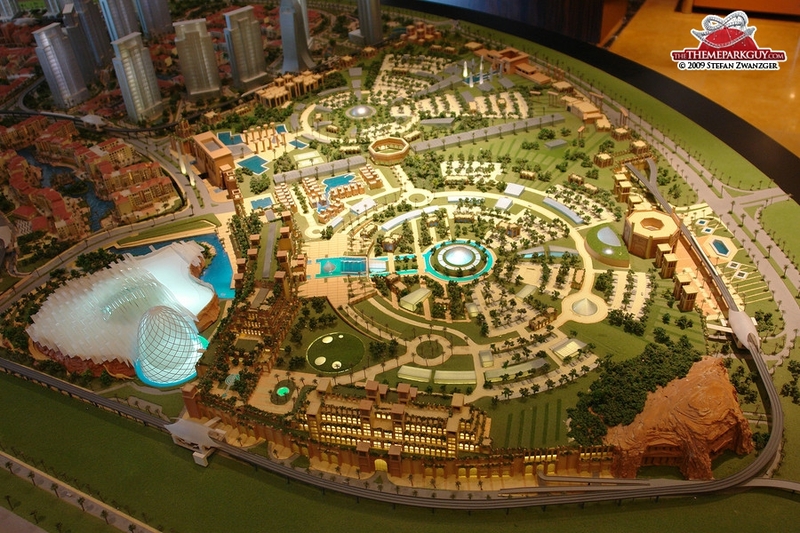 Dubailand, announced in 2003, could be on the way to becoming a bit of an unfortunate story. 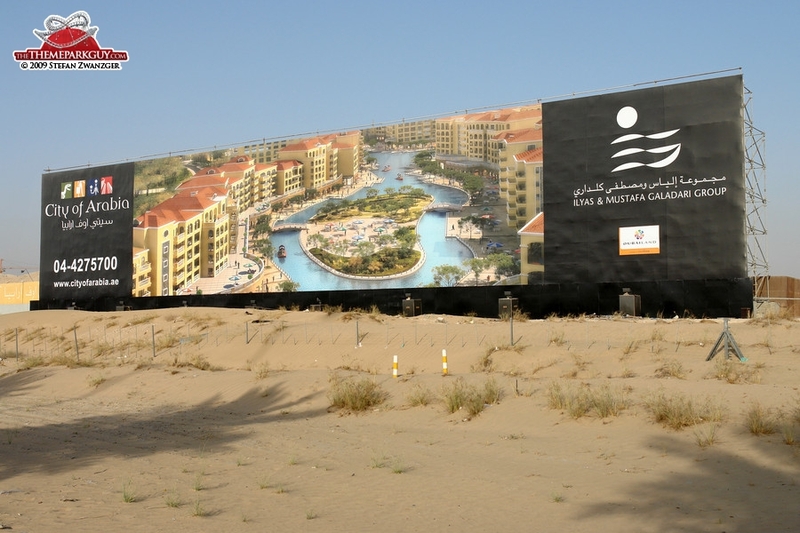 I hope this won't be the case: the idea of creating a massive theme-park city in the desert of the Middle East is bizarre and fantastic. 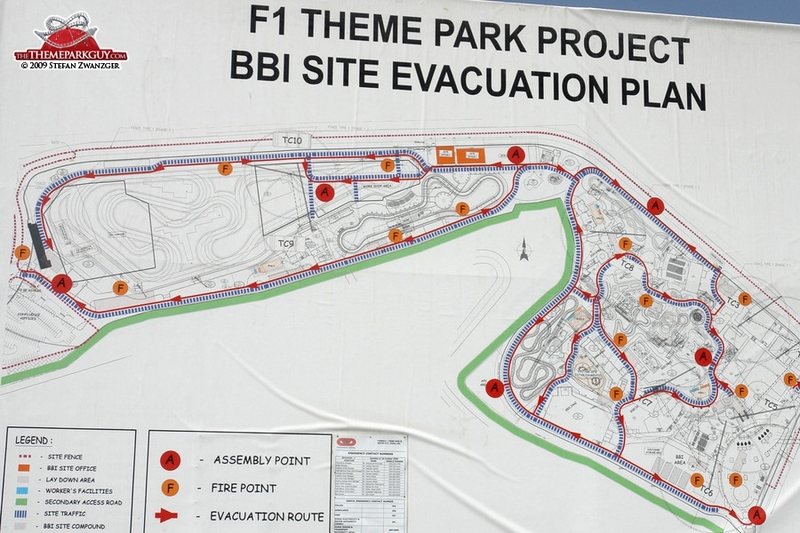 Who knows what might happen, but with construction in hibernation here, this ambitious plan might take some years to come about. 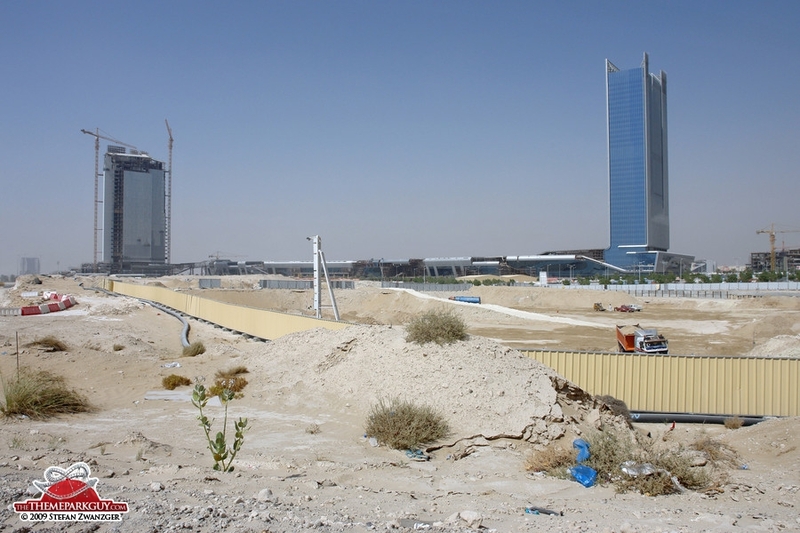 If anyone involved in one of the Dubailand projects reads this, I’d love to hear from you.